“Best of Connie Willis I"It is a collection of 11 short stories by this author. 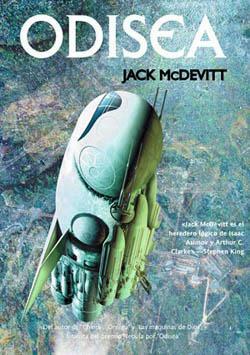 As there are in all collections a bit of everything, both literary quality level and at the level of issues. This book is no exception. Some stories are really interesting and very reminiscent of some other books by Connie Willis. For example, reading the story "Fire Brigade", you can not help but evoke "The Book of Doomsday" (one of the works that I like about this author). Another tale is that I liked especially the "Late Cretaceous" in which the consequences of a budget adjustment in a Faculty of History narrates. really hilarious situations occur. Instead, stories like "A All my Dear Daughters" I found a story quite filling. But hey ... this is going to taste ... and I do not like it. Overall, a recommended book is, or it is to better understand the work of Connie Willis ...'ll see how it looks "Best of Connie Willis II" when published. The Glass House It is an interesting book with two distinct parts. On the one hand explains the history of a society highly developed in the areas of genetic engineering, in which people decide to voluntarily cleared the memory and change the morphology of their bodies, where interstellar travel is by teleport and where wars They are made based on "worms" that erased the memory of their victims (both individually and on a global level). This part of the book is cyberpunk style and is a bit heavy. On the other hand, we have the protagonists of this story as part of a sociological experiment and performing a estage 3 years in a closed habitat (The Glass House) Which recreate a similar to that of the twentieth century, almost without technology society. We also have a murderer who follows in the footsteps of one of the protagonists and tries to kill it wherever you are, and even though he does not remember anything. Closed habitat description is interesting and is somewhat reminiscent of the descriptions of the ships that are the characters of Arthur C. Clarke in stories like Rendezvous with Rama. The society initially recreates the habitat reminiscent of the 50s: women who are obedient housewives home, men who go to work to earn a salary with which to support his wife, his children and his home. And together, on Sunday, they go to church to remain indoctrinated. The company is based in controlling the actions that deviate from this normal, on the basis of "what they will say"And based on public recriminations on Sunday in the Church. I could not help thinking of the social control exerted in some societies such as those found in Arab countries or even in some Spanish towns, where everyone is aware of all and in which the "what they will say"The law does comply normal. The recreation of this society ensures that reading the book will smother much as the protagonists suffocate ... but there is no escape. 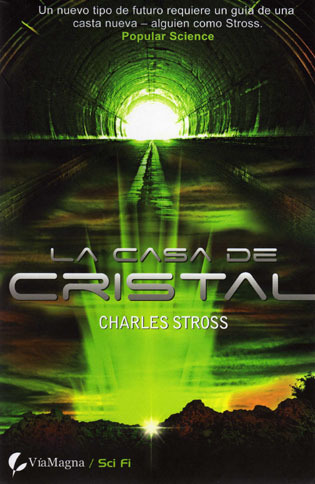 In order to survive the protagonists will have to discover the true purpose of the Glass House, they will have to discover how to prevent this objective is met and have to deal with the murderer that seeks but does not know their identities. Only one criticism, and not the fault of the author, the book is riddled with typos. So many that come to irritate the most patient reader (and I'm patient). Nevertheless, the book is original and has an unexpected ending. Worth reading.